Property maintenance can be a ton of work, and major appliances to be specific is an integral part of your rental property which is why it should be included when drafting property management plans. Quality appliances in your Weston rental properties add significant value to your property as it appeals to renters even though it carries a substantial price tag in upkeep costs. When appliances are not properly maintained, they may fail faster and require replacement more frequently. Just like many other things related to property management, landlords and tenants can take a lot of extra measures to make sure that the life of the appliances in your rental home is prolonged. By keeping track of these several necessary precautionary measures, you can help guarantee that each appliance lives up to its full potential. Small things that tend to get neglected like reading the appliance’s manual is the one step also to keeping an appliance running. A good landlord will provide a copy of all appliance manuals and encourage their tenants to read them. For individual appliances, basic maintenance can be the difference between longevity and discarding an appliance. For example, refrigerators need their gaskets and coils cleaned on a regular basis. The gaskets are the plastic strip that forms the seal around the refrigerator door. To prevent gapping, wipe down the gaskets several times a year. Cleaning the coils is also easy; simply remove the cover and vacuum or use a soft bristle brush. If your refrigerator comes with filters, it is a great idea to set up a schedule to replace these for your renters to warrant that it is accomplished properly on a consistent basis. Dishwashers also need attention from time to time, and it’s easy to clean the gasket with soap and water, helping this appliance stay watertight. Check the filter regularly and remove any debris. You should also make sure your dishwasher is level with the floor. An unbalanced dishwasher can create vibrations that will hurt the machine as well as your dishes. On top of mechanical aspects, running a hot water cycle with vinegar or a dishwasher cleaner every few months will also maximize your dishwasher’s lifespan. 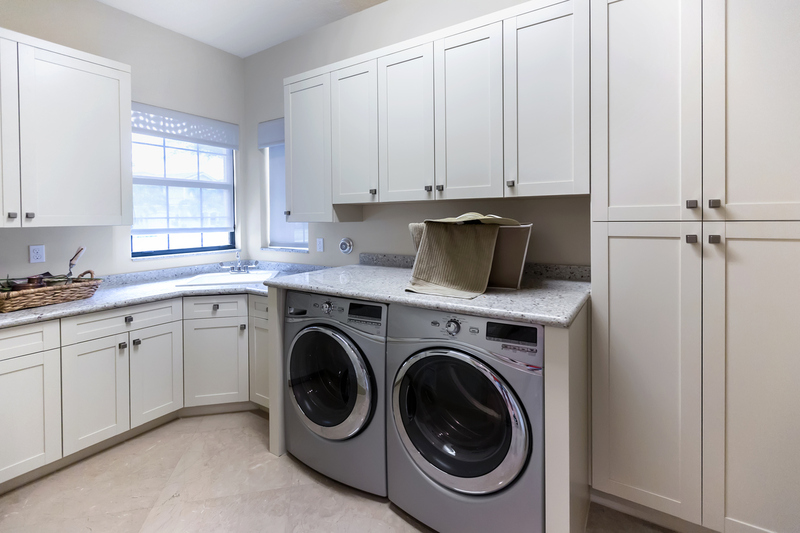 When it comes to washers and dryers, proper use goes a long way toward keeping them in good shape. Overloading the machines is the number one culprit of poor performance and breakdowns. Loads that are too large for the machine put a strain on the motor, belts, and transmission, leading to rapid wear and tear. Encourage your tenants to follow the manufacturer’s recommendations about load size. In addition to that, dryer vents should be checked and cleaned regularly to avoid buildup. When lint and debris get caught in the external vent, it can lead to motor or thermostat failure – not to mention creating a serious fire hazard. We recommend double checking the vents each time you replace the filters. Without a doubt these maintenance tasks are not too complicated, however, implementing them on a consistent basis take time and will demand much effort from you. Encouraging renters to help is an important first step but making sure that they are truly done can be a challenge. Why not save yourself both time and costly repairs by enlisting the help of the experts at Real Property Management Sunshine? We perform regular property evaluations and maintenance services that include large appliance care, saving you money by increasing the lifespan of all major appliances. Please contact us or call us at 305-930-7867 today for more details.